A visit to the gardens of Tohono Chul can last half an hour or become an all day experience. Our gardens demonstrate our goal of creating spaces of beauty that attract wildlife, utilizing native and adapted plants. The Park’s plantings have been designed especially to attract butterflies and hummingbirds, which will be seen throughout our gardens. The gardens also reflect the wide range of habitats in the Sonoran Desert, including riparian areas and the elusive desert palm canyons. The Sonoran Desert is much more than saguaros and prickly pears. Our greenhouse propagates native, arid-adapted and cold-hardy plants to be used throughout the Tucson landscape. It’s just one of the many things we do to help the nature of the Sonoran Desert. 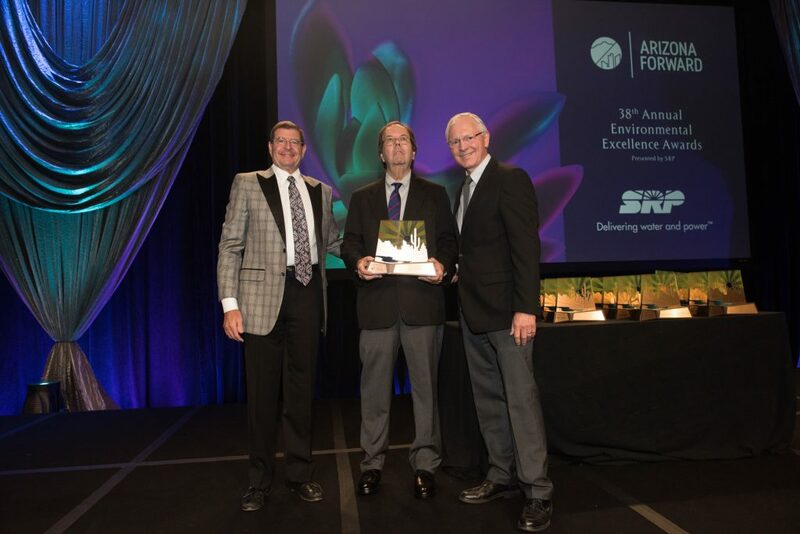 The Arizona Forward Environmental Excellence Awards program recognizes outstanding contributions to the built and natural environment of communities throughout Arizona and just recently Tohono Chul was added to its list of organizations that honor that key endeavor. Tohono Chul’s Master Plan’s recognition is due to the contributions of Arizona architect John Douglas of John Douglas Architects and reflects a 20-year tenacity to maintain a vision to enhance visitor services, easier accessibility, interpretive signage, lighting, and expanded parking and public restrooms. Although the official award title is for Site Development and Landscape – Landscapes and Preserves, Douglas’ contributions extend far beyond that. In addition to the master plan, Douglas has also designed the Gathering in the Garden Pavilion to be built summer of 2019 that has integrated water harvesting and solar into its construction. This new space is a crowning achievement for Tohono Chul as it furthers their mission to create a place where community can come together and connect with nature. Whether it’s the new Gathering in the Garden Pavilion or the established natural landscapes, Tohono Chul is committed to maintaining an urban oasis for people to gather, to learn, and to connect with nature.